Inc. magazine today ranked Ledge Lounger number 420 on its 36th annual Inc. 5000, the most prestigious ranking of the nation’s fastest-growing private companies. The list represents a unique look at the most successful independent companies within the American economy. Companies such as Microsoft, Under Armour, Zappos, GoPro, LinkedIn, Zillow, and many other household names gained their first national exposure as honorees of the Inc. 5000. 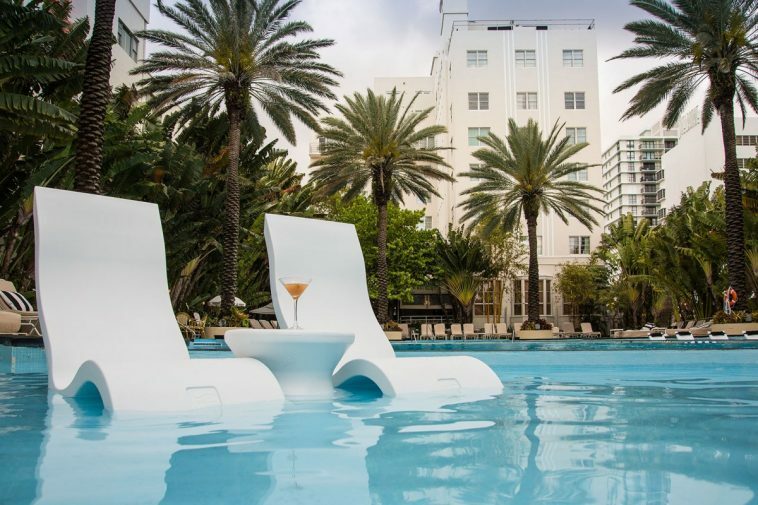 Amongst this year’s honorees is in-pool and outdoor furniture company Ledge Lounger. The company was founded in 2011 by Christopher Anderson. At the time, Chris, born and raised in the pool industry, was working for his father’s Houston based pool company, Custom Design Pools, when a new concept in pools emerged. The tanning ledge, also known as a baja step or sun shelf, started to boom in popularity and was a request of nearly every single client. Once complete, clients would drag patio furniture into this shallow part of the pool to enjoy their new space. This furniture was not pool friendly, and after witnessing too many pools damaged by rusting, corrosion and abrasion, Chris saw a need for something better. His vision was to create something sleek, comfortable, and designed specifically for pool’s ledges. His background in the pool industry gave him insight to the challenges this product needed to endure, like pool chemicals, harsh weather, and UV rays, as well as the needs and desires of pool owners. His first design was Ledge Lounger’s signature Chaise, still their most popular product. If you have a pool, have friends with pools, or have visited a resort with a pool in the last few years, chances are you’ve encountered one. Today the line includes a variety of seats, tables, umbrellas, and accessories, all designed for in-water use. Among the most eye catching are a pool-friendly, full sized sectional sofa, and tech-friendly accessories that make using your phone or tablet in the pool an enjoyable experience.